A mechanical problem as Washington claims or a spying mission caught red-handed? Pentagon and State Department officials made dubious claims about one boat experiencing mechanical problems, contact lost with both vessels before entering Iranian waters. 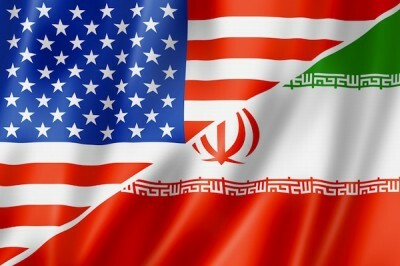 Washington spies intensively on Iran, both vessels likely involved in surveillance, conducting operations illegally in Iranian waters, caught red-handed. GPS devices taken from crew members confirmed their illegal presence in Iranian waters. On Wednesday, Fars News reported Iran’s Islamic Revolution Guards Corps (IRGC) issuing a statement, saying “it has released the US marines and their vessels in international waters” after determining no harm done by entering Iranian waters. The IRGC blamed Washington for “excited and unprofessional moves,” saying it prioritizes regional calm. John Kerry was in contact with his Iranian counterpart, Foreign Minister Javad Zarif. He requested a formal apology, Kerry extending it, according to Fars News. On Wednesday, Iranian Armed Forces’ Chief of Staff Major General Hassan Firouzabadi said “(w)e hope the incident…which will not probably be the American forces’ last mistake in the region, will be a lesson to (US congressional members) seeking to sabotage” last year’s nuclear deal. Last October, Defense Secretary Ashton Carter asserted America’s right to “fly, sail and operate” anywhere it wishes globally, governed solely by its own rules, risking world peace and stability. Provocations repeat with disturbing regularity. Was Tuesday’s incident the result of a mechanical problem as Washington claims or a spying mission caught red-handed? Iranian authorities diplomatically downplayed it, choosing calm over confrontation.